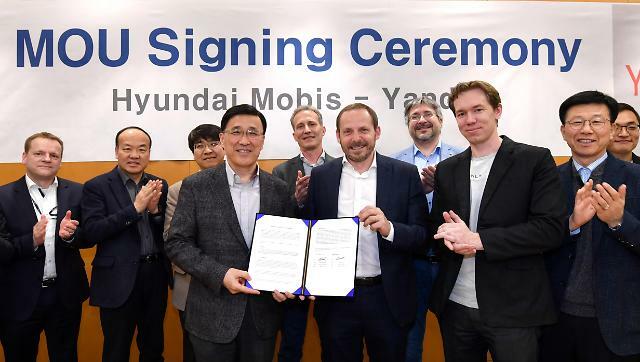 SEOUL --​ Hyundai Mobis, the car parts subsidiary of South Korea's Hyundai auto group, partnered with Yandex, a Russian company specializing in Internet-related products and services, to develop systems for a high level of autonomous driving that can be used for driverless taxis. 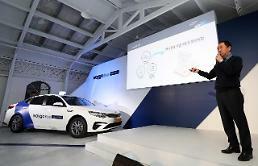 Hyundai Mobis signed a memorandum of understanding with the Russian company Wednesday at its ICT lab in the southeastern city of Yongin for the joint development of a deep learning-based autonomous driving platform. They would develop level four and five autonomous vehicles which require no input from drivers if there is no dangerous situation. 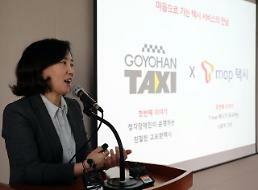 The platform will ultimately become a foundation for a driverless mobility service, such as driverless taxis, the South Korean company said, adding the two companies would collect and analyze consumer feedbacks if a driverless taxi service is launched in 2020. 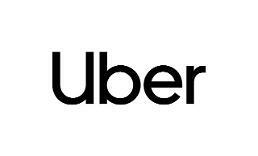 Yandex plans to operate about 100 driverless taxis in Russia and expand its business to other countries. "By joining hands with Yandex, which has strengths in self-driving algorithms, we expect to secure global technology competitiveness in the field of self-driving cars in the future," Hyundai Mobis CEO Park Chung-kook said. "Our self-driving technologies are unique and have already proven their scalability," Yandex CEO Arkady Volozh said in a joint statement. He said the partnership would accelerate the technology development of its driverless robotaxi service launched by the Russian company in 2018. 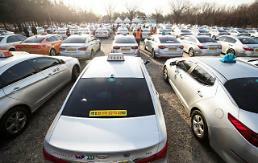 "It took us just two years to go from the first basic tests to a full-fledged public robotaxi service," Volozh said. "Now, thanks to our agreement with Hyundai Mobis, we will be able to move even faster." Google's brother company Waymo launched Waymo One, a self-driving taxi service, in Arizona in December 2018. A human driver is present at the driver's seat to intervene in case of an emergency.